Blueworks Live is cloud-based software that gives you a dedicated, collaborative environment to build and improve business processes through process mapping. Business analysts, subject matter experts and any other designated editors or contributors can easily work together through an intuitive web interface, documenting and analyzing processes to make them more efficient. And because it’s in the cloud, there’s nothing to download, it’s accessible anywhere and you have a single location for all business processes to live. Anyone can begin mapping existing or new processes in minutes. Invite users to edit and review process maps from a single interface. 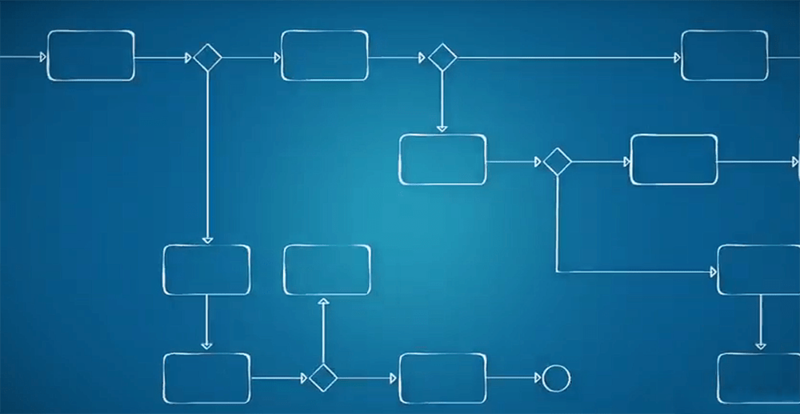 Identify efficiencies from a big-picture view of business processes. Create and edit processes, decisions and policies. View and comment on processes, decisions and policies. Automate and manage processes on the subscription-based platform as a service in the cloud. Improve business performance by managing business rules and operational decisions on the cloud. Reduce employee repetition via a robotic process automation platform with extra automation.